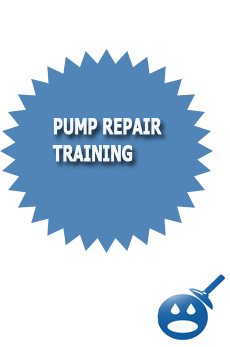 If you are looking to become a pump mechanic you are going to need some pump repair training before you will be able to call yourself a seasoned pump mechanic. There are many ways you can get pump repair training but you should know what the job requires before you fully decide that you want to become a pump mechanic. You will need to be in good physical shape as well to be a pump mechanic because there is a lot of heavy lifting of tools and parts. Not to mention the fact that many pumps are made from all steel and they can weight a lot and this will take a toll on your body as the years go by. You will also have to think about if you want to be a pump shop mechanic or a pump field mechanic. These two different positions are the same but different, let me explain, because they both require different types of pump repair training. The pump mechanic that works in the field removes the broken pumps from the location using dollies, winches, cranes and tripods. Removing and installing pumps in the field also requires you to work with low and high voltage electricity. The pump mechanic that works in the indoor shop has a completely different role when it comes to fixing and rebuilding the pumps. The shop mechanic will disassemble the pump and motor, sandblast the parts, replace the bearings , seal, packing and then paint the pump. The pump shop mechanics job is repair the pumps Vs remove / install them like the field mechanic. So you will need to decide if you want to work in the shop or out in the field fixing pumps. The armed forces otherwise known as the military uses many pumps on the bases, ships and also in military buildings. You can join the service(military) and you can train to be a pump repair mechanic. In the US Navy you can work on pumps while you are on the ships. The military is a great way to learn how to repair pumps and can off course offer you much needed experience so when you are done with your term you will be able to get a job at a pump repair shop. If you do not want to join the military or go to a vocational school to learn how to fix pumps then you can go down to the local pump repair shops in your area and ask them if they would be willing to take you on as a pump mechanics helper. You might have to start at a low wage and do all the grunt work in the pump shop but they will train you to work on ejector pumps, turbine pumps, circulator pumps, split case pumps, pool pumps, vacuum condensate pumps and many other types of pumps that the shop fixes for their customer base. Many high schools these days offer a vocational or trade school program. 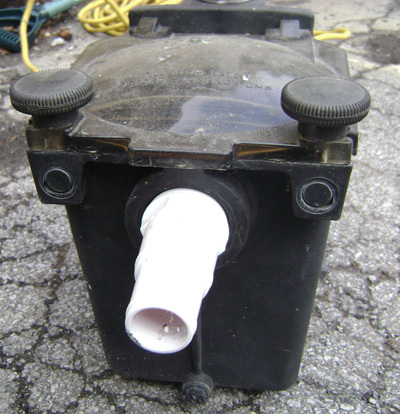 Pump repair may be offered in the vocational school that works with your local high school. You can ask your guidance counselor if the vocational school that is connected to your school district offers pump and motor repair. If they do not offer pump and motor training courses you may want to check into other trade schools in your county to see of they do in fact offer pump repair. – verlogen sind die Frauen! Es wird dringend davon abgeraten, auf dem Landweg, insbesondere mit dem Fahrrad oder Motorrad, nach Pakistan oder Afghanistan zu reisen.